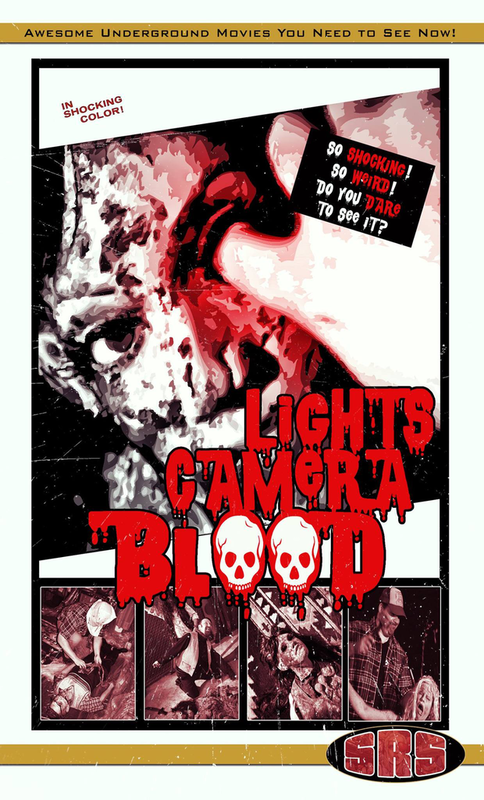 SRS Cinema is excited to bring you the blood-soaked homage “Lights Camera Blood!” to limited edition Blu-Ray and VHS this Sunday night! 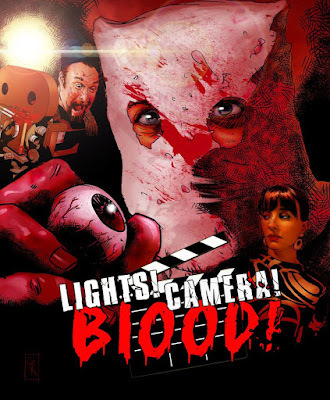 “Lights Camera Blood!” tells the tale of a down on his luck filmmaker forced to turn to snuff films to live the Hollywood dream. It’s a fun-filled Drive-In style throwback to the works of the “Godfather of Gore” himself, H.G. Lewis, such as “Blood Feast” and “The Wizard of Gore”. “Lights Camera Blood!” was written and directed by Kevin Doherty and stars Alan MacKenzie, Dan Baker-Moor and Heather Russell. The Bluray release will be limited to just 100 units, while the VHS just 25. There will be unique artwork for each of these releases and they go live Sunday night 4/3 @ 7p,m EST. A national release of the movie on DVD will be coming this Fall from MVD, and VOD will follow as well.